A team of 5 volunteers from the Department for International Development (DFID) rolled up their sleeves to prepare soil for The Selby Centres Global Garden, a community 'Ground to plate' project aimed at transforming the site into a thriving community garden project. The project is where local people can learn how to produce and prepare a diverse range of organic foods in an engaging holistic environment. The team was looked after by Michael, one of The Selby Centres's community volunteers who gives up his spare time so that organisations, such as government departments and individuals can also make a positive difference to the local community. The volunteers task was to remove weeds and dead plants from the flower beds so that people from the community can start planting and learning how to grow their own vegetables. I visited the volunteers on the day, thankfully it was a sunny day and I was very impressed to see how hard the team had been working. It was very refreshing to see how just in one day how much the DFID team had achieved and that they were really enjoying themselves. It made me appreciate how bringing civil servants and local communities together made my own job at Civil Service Local so worthwhile. The DFID Corporate & Country Communications team had a fantastic day at the Selby Centre. We were very well looked after by Michael and the team, who put us to work digging and weeding their vegetable garden. The Selby Centre is a great community resource, which serves the many culturally diverse groups in Tottenham, Haringey, and beyond. We were inspired by the work the Selby Centre does for local people, and the commitment of its staff. It also helped us come together as a team and share a new experience - to literally get our hands (and knees) dirty. We came away with a sense of achievement and enthusiasm. It was fantastic to volunteer to do something that benefits a community in London, and provided a much needed chance to escape the 'Whitehall bubble', if only for a day! 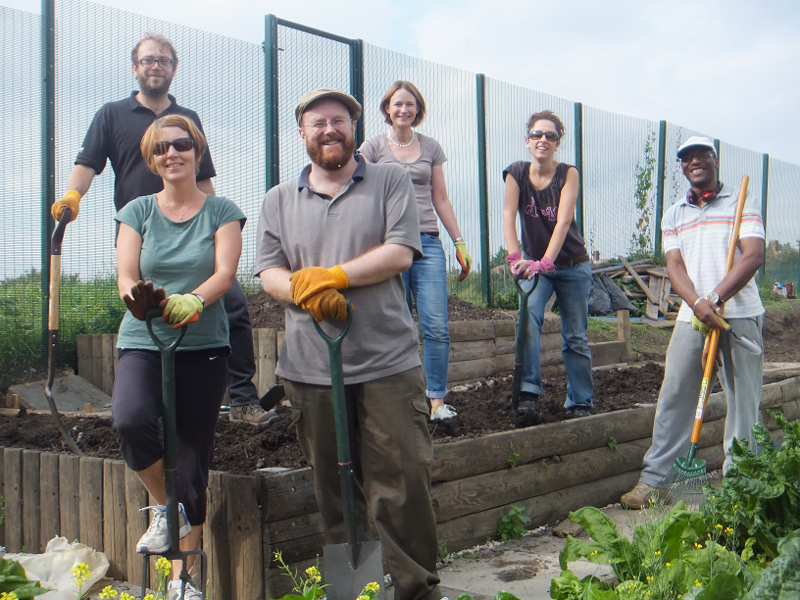 We can't recommend highly enough the opportunities that Civil Service Local provides to volunteer for grassroots projects. These types of events are good opportunities for staff to put something back into the local community, learn new skills and are also a good way for teamwork building sessions. We have many different types of volunteering opportunities many of which will help will individual learning development.